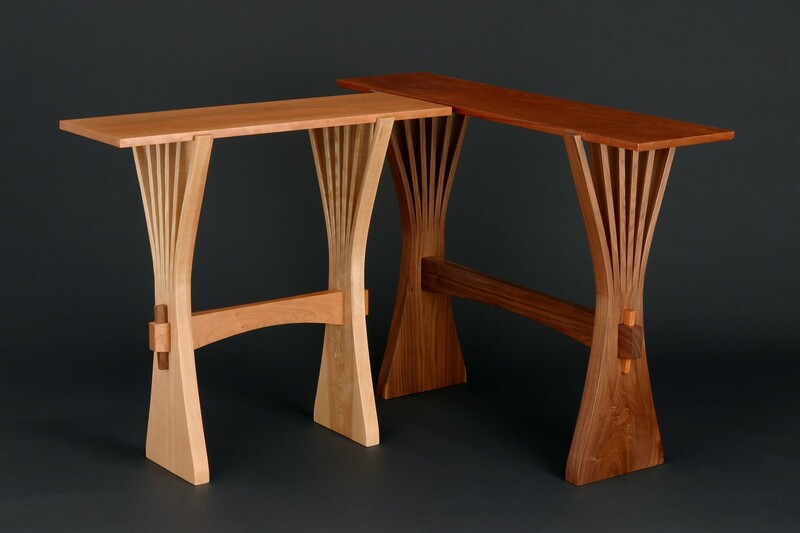 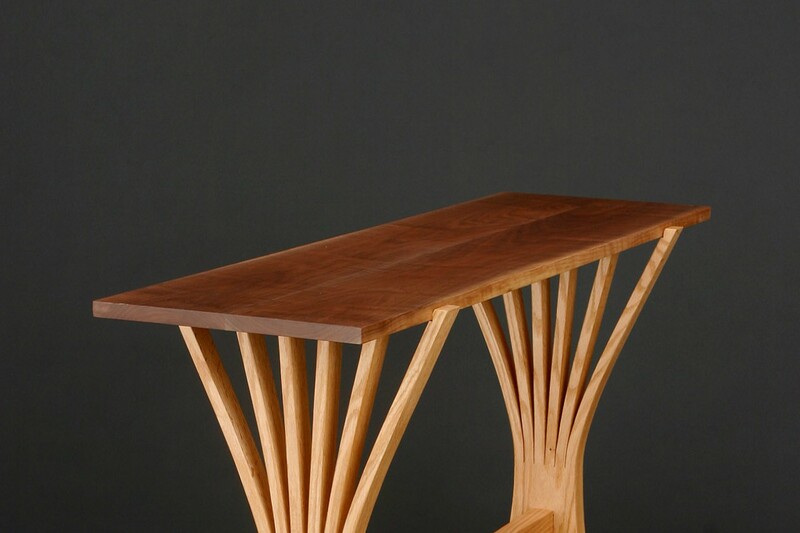 The Abanico Hall Table is a trestle style console table held together with traditional tenon and wedge joinery. 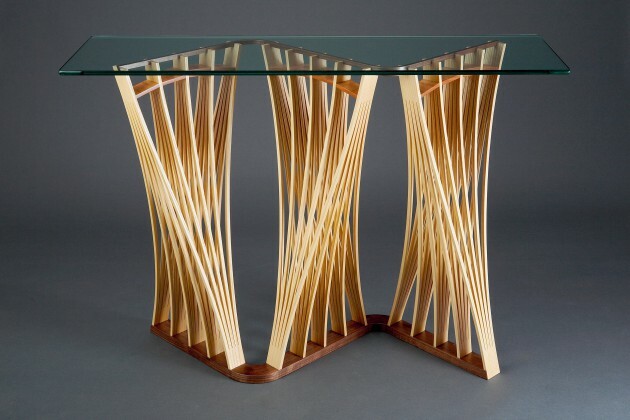 It can be disassembled for easy shipping and moving. 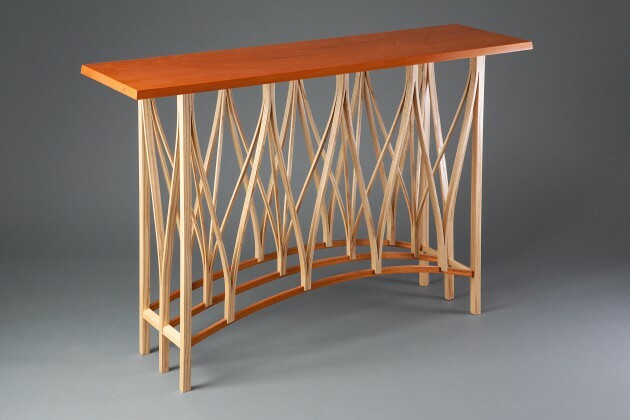 The two end panels are each made from a single piece of wood that is cut and steam bent to shape. 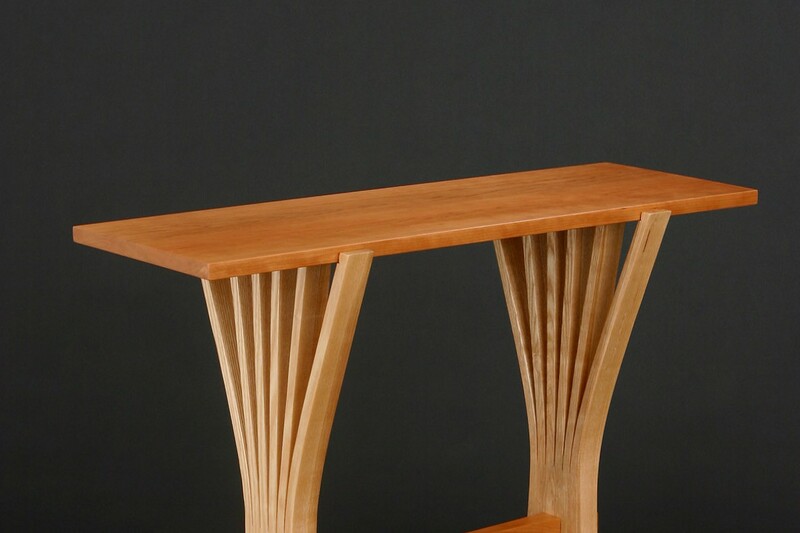 The top is held in place by the tension of the outer two branches. 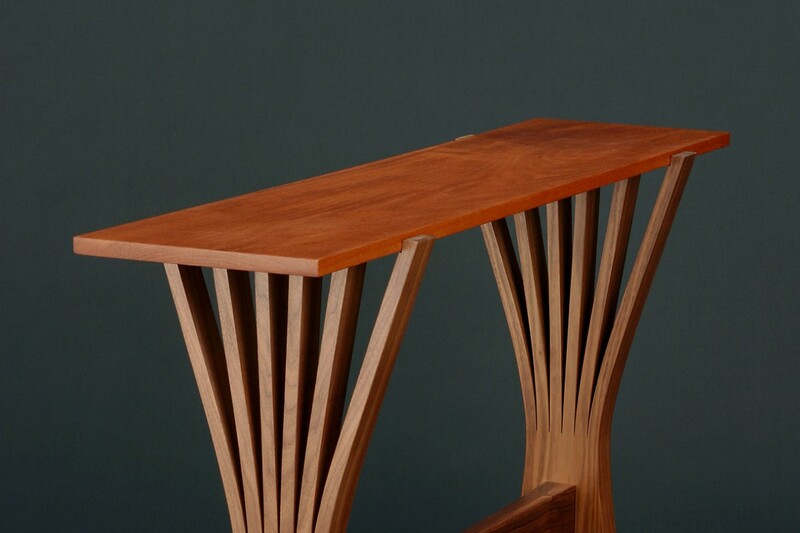 The Abanico console table also has a larger version, the Abanico Dining Table.